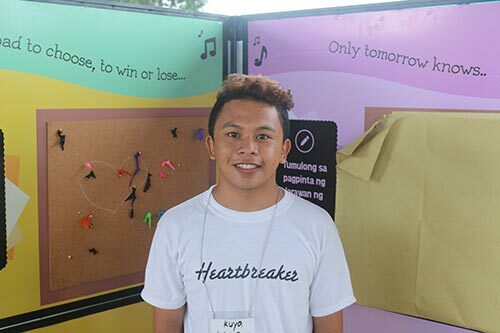 PANTAR, Philippines – Seventeen-year-old Abdul Nasser Berua stood before a group of teenagers, explaining how they can protect themselves from sexually transmitted infections such as HIV. It was October, and the youth were gathered in a covered court in Pantar, a municipality about 15 km from the Philippine city of Marawi, the site of intense fighting between government forces and the Maute and Abu Sayyaf armed groups. Abdul is a youth volunteer, trained by UNFPA and its partner, the Centre for Health Solutions and Innovations, to reach adolescents displaced by the fighting with correct information about their sexual and reproductive health concerns. He knows their needs well; he is one of the displaced youth himself. Abdul graduated from high school on 23 May, the same day the violence broke out in Marawi, on the long-embattled island of Mindanao. The next day – which was his birthday – Abdul fled with his family, making the harrowing journey to an evacuation centre in the neighbouring municipality of Baloi. He travelled through Lake Lanao on a small boat packed with people. As he left, he saw smoke billowing from the city. Hundreds of thousands were displaced, and the violence quickly escalated. A state of martial law was declared. 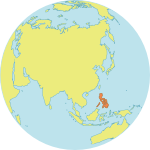 On 23 October, the Philippine Government announced the end of combat operations in Marawi City. 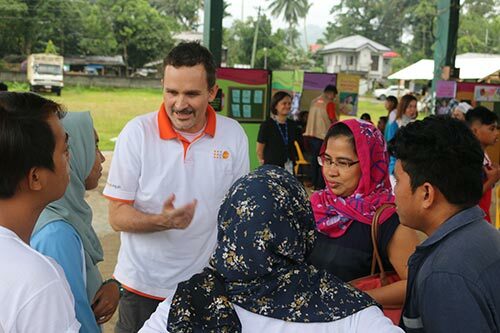 “I would like to return home to Marawi,” Abdul told UNFPA. Still, security risks remain serious, and restoring basic services has been a challenge, according to the UN Office for the Coordination of Humanitarian Affairs in the Philippines. More than 350,000 people remain displaced by the crisis, says the Department of Social Welfare and Development. “In these emergencies, young people are more acutely affected by exposure to violence and chaos, loss of family members, and the absence of role models. This can lead to high-risk behaviours, such as early sexual initiation and substance abuse,” explained Klaus Beck, UNFPA’s Representative in the Philippines. “And while they make up a large proportion of the population, their sexual and reproductive health needs are largely unmet,” he added. UNFPA is working with partners, including Community and Family Services International and the government, to empower young people like Abdul to act as peer educators. Some 250 outreach missions have been conducted in schools and communities, providing youth with quality, comprehensive education and counselling on reproductive health issues. These information sessions – conducted in communities, schools and women-friendly spaces – teach young people about preventing sexually transmitted infections and unintended pregnancies, as well as how to maintain healthy relationships and end gender-based violence. The programme is funded by the United Nations Central Emergency Response Fund, and has reached over 5,000 young people. Young people like Abdul were also trained to convey this information in an interactive and engaging way to their peers. “My older brother was the one who told me about this youth training programme, and I’m very happy I joined. I learned how to be confident and to connect with people, but more importantly I learned to be one with my community,” said Abdul. “This has given me the chance to learn more and to educate myself and others,” he added.